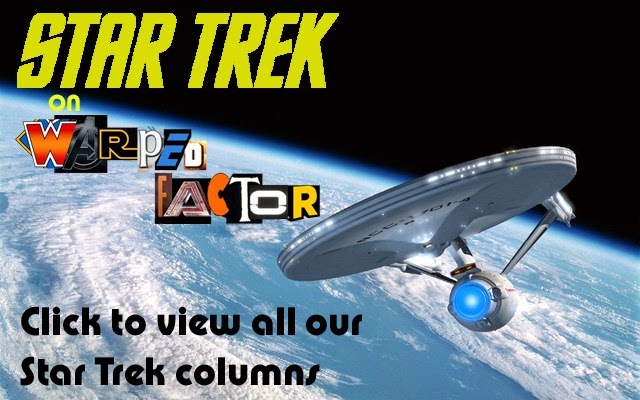 In defence of STAR TREK III: The Search For Spock | Warped Factor - Words in the Key of Geek. Martin Rayburn tackles the "curse of the odd numbered movies", and presents his case for Star Trek III: The Search For Spock. 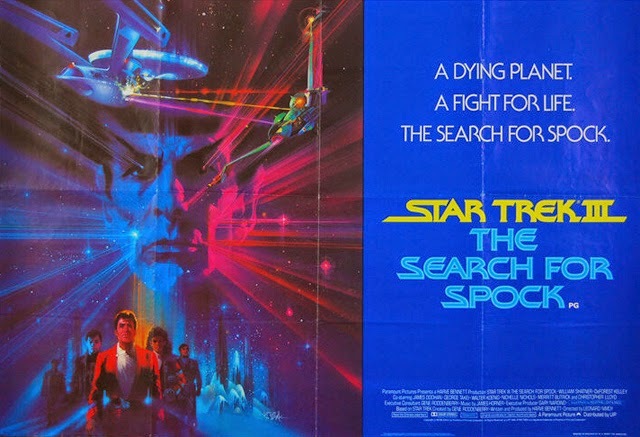 Star Trek III: The Search For Spock is a gem of a movie that's often discounted solely because it is one of Star Trek's "odd numbered" films, which are all popularly believed to be poor. Yet Star Trek III suffers unfairly because of this assumption. Through Leonard Nimoy's directorial flair it succeeds as a film in it's own right, remains true to The Original Series while still serving as an excellent sequel to The Wrath of Khan, and I believe it maintains the same high standard that the previous installment set. The character interaction between the core cast is at its very best during The Search For Spock, with the possibility of bringing Spock back to life causing Kirk, McCoy, Sulu, Uhura, Chekov and Scotty to steal the Enterprise and so effectively ending their Starfleet careers. It is the ultimate gesture of friendship, as the movie puts it - the needs of the one outweigh the needs of the many. All of the cast are given a chance to shine in their own moments, especially Sulu, and we also have William Shatner at his very best. I'd say his performance equals that of The Wrath of Khan, but here he is given a meatier part. Kirk is risking so much more than his Starfleet career, and he ends up losing so very much in the process, all for his friend - highly illogical! Perhaps Leonard Nimoy observed how Nick Meyer managed to pull such a convincing performance from Shatner in the The Wrath of Khan, or perhaps he just truly knows how to get the best from his friend, because Shatner is certainly never as good after The Search For Spock. One of the most impressive things is that this was actually Leonard Nimoy's movie directorial debut. With only a couple of (non-Trek) TV show episodes under his belt, he delivered what I think to be the most faithful of all of Trek's movie adventures. I think this is the reason why it remains my favourite of all the original cast's movies, because more than any of their other big screen outings, Star Trek III most closely resembles The Original Series in its look and feel. Nimoy realised that it is very important that the movie's visuals did not overshadow the story itself. (But that is not to say that they are not impressive - the action elements of this movie are up there with Star Trek II.) Nimoy gives all directors of science-fiction films an important lesson with the 'stealing the Enterprise' scene. He slowly builds the tension, and the excitement, without just filling the screen with frantic action and explosions. Basically, Star Trek III: The Search For Spock is a simple story about loyalty and sacrifice. It's the most faithful of all Trek movies, with Nimoy capturing something no other director has managed before or since. It's also got all the science-fiction trappings you could ever wish for, so what's not to like?